The Kansas Star Arena hosted a night of action in the latest offering from DAZN. 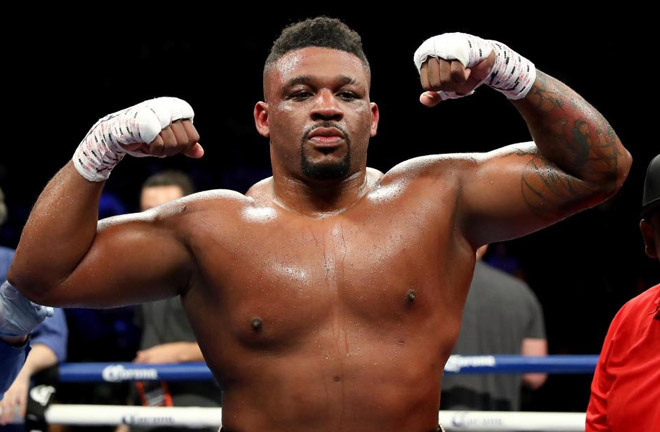 Hulking Heavyweight, Jarrell “Big Baby” Miller continued his push for a World Title shot with a dominant stoppage victory over the previously unbeaten Romanian, Bogdan Dinu on Saturday night. Miller hopes to be the name chosen by Anthony Joshua for his big April date at Wembley Stadium. At over 22 stone, Miller is a massive unit, and, after a close opening round, Miller’s jab started to control proceedings. The third round was where the Bucharest native Dinu started to unravel. In the last minute of the round, a body assault forced Dinu to the canvas, but the referee decided that the shot was low. The writing was on the wall though, and in the very next round, the body shots continued, a combination setting up a left hand to the top of Dinu’s head for a legitimate knockdown. Dinu rose at the count of nine, but the immediate follow up assault saw Dinu counted out after a second knockdown. Miller is now targeting knocking out a British fighter before the end of 2018, meaning we could see him on these shores at the O2 Arena in London on the Dillian Whyte v Dereck Chisora II bill. 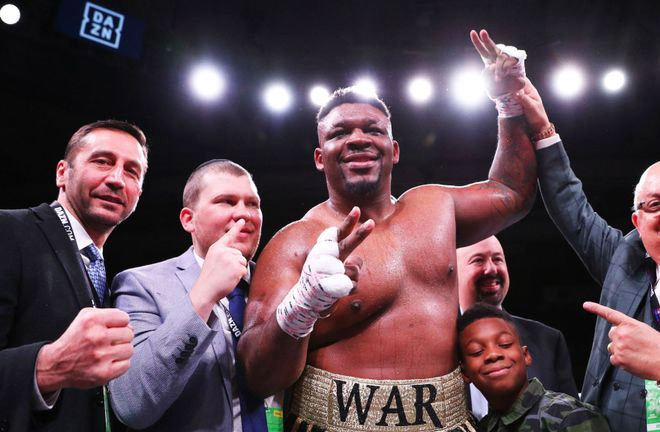 It wasn’t to be for Scotland’s Hannah Rankin, as she was simply outclassed by the sublime Claressa “T-Rex” Shields in their match-up for the WBC, IBF and WBA Middleweight Titles. Shields was always a level above her opponent, and the Flint, Michigan native won every round on all three judges scorecards (100-90) to add the WBC Title to her ever growing collection. In toe to toe action, Brandon Rios was slow to start in his encounter with Ramon Alvarez, with the Mexican landing with big left hands at regular intervals. It was a frantic opener, with both men connecting with punishing shots. Rios looked fleshy, but always comes into every fight with the same massive heart. Rios had his successes at the end of the second round with a hard left right combination, and gradually got on top of Alvarez, a massive right hand from Rios rocking his opponent in the third, but Alvarez somehow absorbed the shot. The next few rounds followed the same pattern, with Rios’ weight of shot a lot heavier than his foe, causing Alvarez to slow down and work almost exclusively off the ropes. Rios pace was relentless, and Alvarez simply couldn’t hold him off. A sustained, punishing attack from Rios at the end of the eighth had grounds for a stoppage, but it was not forthcoming from the referee. The end was nigh though, and in the first minute of the ninth, another assault from Rios forced the stoppage. Hometown hero, and 2016 Olympic Bronze Medallist, Nico Hernandez got eight decent learning rounds under his belt in his flyweight contest with the never stopped Josue Morales. Hernandez was forced to go the distance by Morales, and by the end of the fight the scores read 80-72 (Twice) and 79-73.